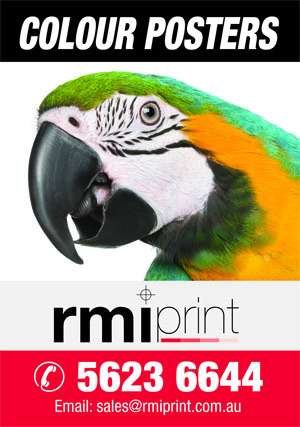 RMI Print Warragul now offer full colour in-house poster printing. Our large format posters are printed on the highest quality 200gsm satin synthetic stock, and are available with a Gloss or Matt Laminate if required. Various sizes are available including A3, A2, A1 and A0. Custom and larger posters also available and we can also mount your posters to corflute or foamboard, just ask us for a quote! We ship printed posters Australia wide in high quality mailing tubes so they will arrive in perfect condition to your door. To find out about our delivery charges please contact us.